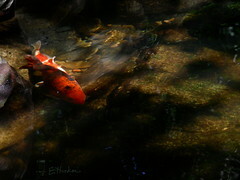 Goldfish and bettas are the most common fish found in small, unheated tanks. The irony of it is that neither fish is suited for this environment. Goldfish can live in unheated tanks, but they need large volumes of water. Bettas can live in small aquariums, but they need heated water. It may surprise you to learn that there actually are a few species of fish that are suited to living in a small aquarium (not a bowl). Some of these small aquariums can actually support schools of these little beauties. Today I will introduce you to some of these fish. 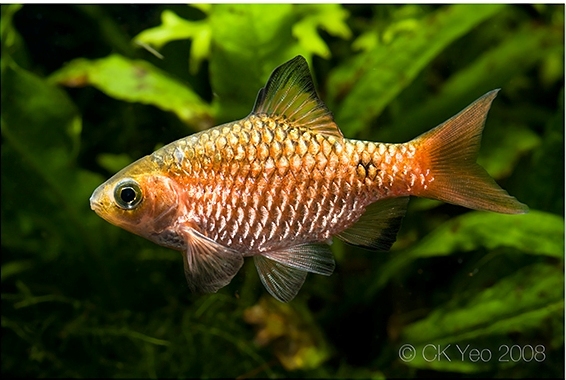 Additional: The golden variety is not found in nature and has been bred for the aquarium trade. While these little guys don’t get very large, they are a very active fish. They are also a schooling fish and can have a tendency to nip if the school isn’t large enough; for this reason most places recommend groups of 10 or more. Additional: These are small but rowdy fish and some sites suggest as much as a 20 gallon minimum on these little beauties. These fish commonly spawn in aquariums, and if your tank is heavily planted enough you may find a few fry making it to maturity. They are a shoaling fish, so a group of 6 or more is recommended and they will easily fit into a community that doesn’t include fish large enough to eat them. Additional: These fish are actually cousins to betta. And just like bettas, these fish can be temperamental. They will eat smaller fish and can bully fish of similar colors. The males are aggressive towards each other, so you will need a larger tank if you intend on keeping multiple males together. They are best kept with 3-4 females per male. They do best with tankmates like barbs and danio that can handle their volatile nature. Additional: These little beauties are actually color morphs of a fish common to the eastern US, the fathead minnow, so-called because the males will grow fatty lumps and breeding tubercules on their heads. They readily breed in aquariums and the males will guard the eggs. They are a shoaling fish and best kept in groups of 6 or more. While they may be small, they are active which warrants a minimum aquarium size of 30 gallons. Additional: They are another shoaling barb that does best in groups of 6 or more and tend to stay around the middle of the aquarium. Despite their small size, they are rather active swimmers but peaceful to tankmates. 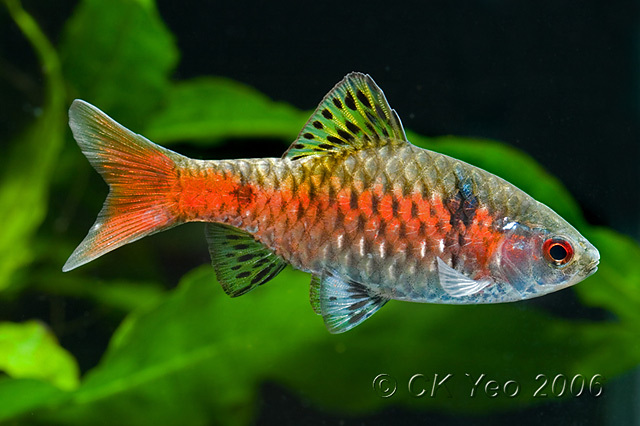 Their boisterous nature may disturb slower-moving fish so tankmates should be active as well. Rival males will spar but serious injuries rarely result. Additional: Another active barb well-suited to a river type habitat. A golden form has been bred for the hobby; the wild fish are more green in color. Like all barbs, they are best kept in groups of 6 or more. In smaller numbers, they can be fin-nippers. They tend to stay in the lower half of the aquarium. 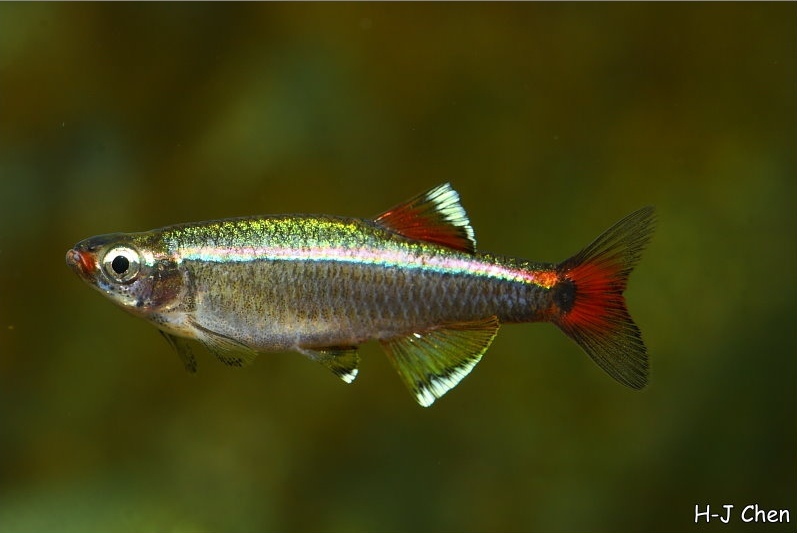 My favorite of these cool-water fishes is the white cloud mountain minnow as their small size enables them to live in a 10 gal tank which is often what the beginner fishkeeper has. While these fish come from far off lands, there are also many fish native to the US that would be suited to an unheated tank, but you won’t find them in stores. The barbs would do well in a river-type community with botine loaches and rasbora that tolerate the cooler temperatures these little beauties demand. An active aquarium like that offers a unique alternative to the typical calm, warm, and peaceful tetra communities. Seriously Fish. www.seriouslyfish.com. Updated: 16 Jan 2013. Retrieved 16 Jan 2013. Practical Fishkeeping. www.practicalfishkeeping.co.uk. Updated: 16 Jan 2013. Retrieved 16 Jan 2013. This next post will be something special for our readers. We will have Mari from Aquariadise writing a guest post for us! It's a surprise what her article will be about, but I can assure you it's something very interesting! Stay tuned and look forward to it next week. I agree with all you have written, well done! May I add the common black skirt tetra and the bloodfin tetra, which do well in my unheated tanks, preferring temperatures under 70f it seems.